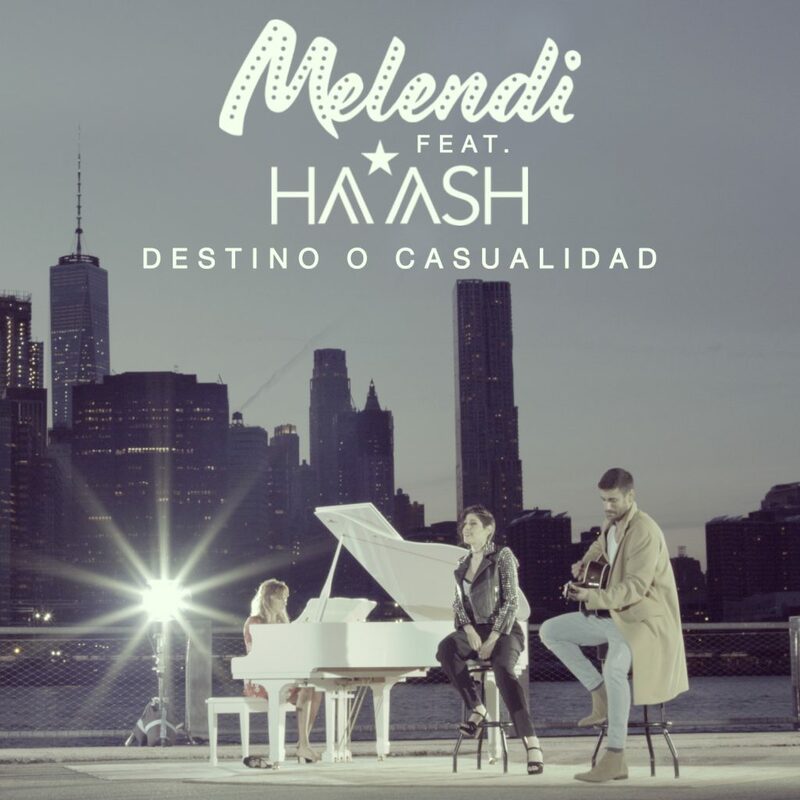 Ya puedes ver cómo se hizo uno de los videoclips más vistos de momento, “Destino o casualidad” de Melendi feat. Ha*Ash, ¡haz clic en la imagen para verlo! El vídeo oficial ya supera las seis millones de reproducciones en VEVO en su primera semana, siendo uno de los vídeos más vistos en España, Colombia, Perú y México. Por su lado, la canción se ha convertido en todo un fenómeno en Spotify, donde ha sido añadida a más de 50 playlists en todo el mundo. El tercer single de su exitoso álbum Quítate las gafas es, esta vez, una versión inédita que cuenta con la colaboración del famoso dúo mexicano HA*ASH. Las increíbles voces de las hermanas Ashley y Hanna (HA*ASH) se fusionan a la perfección con la de Melendi, otorgando al tema la intensidad emocional que la romántica letra de Melendi merecía. ¡Consigue o escucha el single haciendo clic aquí! I wish to express my appreciation to the writer for rescuing me from this particular matter. After browsing through the internet and finding thoughts which are not productive, I figured my entire life was done. Living without the presence of answers to the difficulties you’ve sorted out by means of your posting is a critical case, and the ones which may have in a negative way damaged my career if I had not noticed your site. That mastery and kindness in handling the whole lot was very useful. I’m not sure what I would’ve done if I had not come across such a solution like this. I’m able to at this time look forward to my future. Thanks a lot so much for this expert and results-oriented help. I won’t think twice to endorse your web sites to any individual who will need guidance on this matter. I really wanted to type a remark to be able to express gratitude to you for those lovely hints you are posting on this website. My particularly long internet look up has at the end of the day been paid with awesome ideas to talk about with my good friends. I would express that many of us site visitors are unequivocally blessed to dwell in a remarkable community with many perfect professionals with good points. I feel rather happy to have discovered the web page and look forward to so many more cool times reading here. Thank you once again for all the details. After study just a few of the blog posts on your website now, and I really like your means of blogging. I bookmarked it to my bookmark web site record and will be checking back soon. Pls check out my web site as well and let me know what you think.